Keyword research is the practice of using tools to determine which search phrases potential patients are entering into a search engine to find the conditions you address and treatments you provide. Keyword research is the lynchpin of any successful search engine optimization (SEO) or pay-per-click (PPC) advertising campaign since keyword research puts you in the position of knowing patient intent and what they ultimately want. For SEO, keyword research helps to identify, evaluate and select the relevant keywords/keyword phrases that your website pages should be optimized for and provide the anchor text you should use for link building campaigns. For PPC advertising campaigns, keyword research helps to identify and select the relevant keywords/keyword phrases to target with your advertisements. 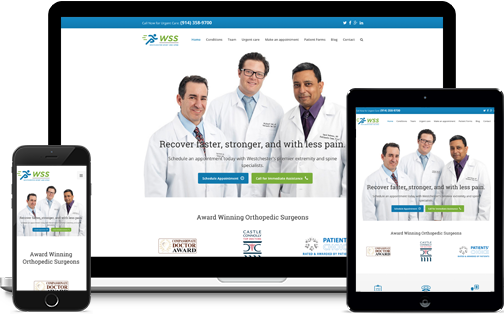 All of this makes the job of positioning, marketing and optimizing your practice online easier than ever before. A keyword or keyword phrase is a query term entered into a search engine or website by a patient. A keyword can be a single word or a series of words (keywords with multiple words are called keyword phrases). The reporting of keywords and their usage data is not an exact science (since most search engines and websites do not make actual query data available). This means that “keywords” found through research and the “actual search queries” of patients are often different. This often results in discrepancies in traffic received via many keywords. The reason for this is simple – everyone thinks and acts upon their needs, wants and interests in a different manner. They often use slight variations or perhaps even misspell a word. This is something that Google reinforces by the fact that it reports up to 80% of the total daily search queries entered into their search interface have never been searched for before. A primary reason that Google heavily pushes the suggested searches that drop down as you begin to enter a query. In order to get the most out of keyword research, it’s important to understand that traffic estimates are relative and vary. Use them as a guide, but never an absolute! INTERESTED IN IMPROVING YOUR PRACTICE'S SEO? In addition to the difference between keywords found through research and the actual search query that may be used by a patient, there is a difference between the types of keywords. The two different types of keywords used by patients are described as broad and long tail keywords. Broad keywords are general terms that are usually one to two words in length. They are often referred to as “root” terms since they are where the majority of patients start their search session. Broad keywords often bring in the most traffic (and competition), but due to their broad appeal they do not always convert as well as more specific searches. Broad keyword searches for your specialty or practice type most often show Google’s local result set (map and three pack listing of clinics / providers), because Google wants to show results near the searcher, while more condition or treatment specific searches tend to show a “national” results set, where your website is competing with sites like WebMD and other big media players. Long tail keywords are more specific search terms that are three or more words in length. Long tail keywords often contain a broad keyword plus additional terms or a geographic modifier, which is very common with patient searches for a healthcare provider (due to the fact that patients often want a provider close to them). These additional terms are often “intent” terms, which make the nature of the keyword specific to a given action (such as scheduling an appointment). Long tail keywords typically have less traffic than the broad keywords, however since they are more specific, they often convert at a higher level since they are more specific to a possible action. Long tail keyword search very often pull localized search results, allowing your practice to compete with larger health media websites for patients attention. If you have been in practice for a number of years, it’s quite likely there are already a lot of patients searching for you. Brand keywords are the search phrases that patients use when they’re looking for you or the practice. Examples of broad keywords include “Dr Jane Doe MD”, “Happy Dentistry”, “John Doe Chiropractor” or even “Happy Dentistry Boulevard Location”. Brand keywords are the best keywords to have your website appear highly for in search engines, since other health media websites optimize your profiles on their site to rank for these searches (often then trying to sell it back to you). In addition to dividing keywords into three different types, keywords can also be classified by implied intent. Classifying keywords by implied intent allows you to match keywords to the different phases of the provider selection process that a patient goes through online. This enables you to better target your marketing spend and activities. “Finding a provider” related keywords are typically broad keywords. They represent the beginning of the process where a patient is just starting to discover the available providers in their area or treatments available to them. Evaluation related keywords can be broad or long tail keywords. These keywords represent the stage in the process where patients are learning more about your specialty or treatments and are attempting to vet their available options. Evaluation keywords contain terms such as “top, best, reviews, ratings”. Decide related keywords are most often brand keywords. Since these keywords represent patients who are looking directly for you, they have the highest likelihood of driving a patient appointment. Decide related keywords could also include search phrases that include “near me”, depending on the specialty. Below is a chart that shows a visual representation of provider selection process for a Dentist and which keywords/keyword phrases are used at each step. There also exists a difference of intent between singular and plural keywords. Patients who use plurals are often looking for more than one option and wants to learn about more than one provider. Patients who use singulars are often looking for a more immediate choice and may be more likely to make a quicker decision on a provider. In general, targeting plural keywords is ideal for specialty, while singulars are best used for a specific procedure or treatment. The concept of keyword research, search queries, and phrases can be a bit abstract. Let’s take a look at some actual sample keyword research lists, for various health and medical specialties. Figuring out the right keywords to use shouldn’t be a shot in the dark or a guessing game. Make sure you’re saving time and being as effective as possible by using a keyword research tool to find out how many people are searching for specific terms and to see related keywords that may be useful to you. The lion’s share of SEO and keyword planning revolves around Google. This is mainly due to the fact that Google is the largest search engine in the world and most frequently used by people to find information on the web. Google AdWords Keyword Planner is a useful keyword search tool since it is directly attuned to Google user’s search habits. Though this tool is available for people who don’t currently have ads running on Google, you’ll be able to get the most information from this tool if you already have ad campaigns going. The full scope of information you can get from Google AdWords Keyword Planner includes: average monthly searches, competition, suggested bids, and relevant keywords. Ahrefs.com is another widely used keyword research tool used across multiple industries. With multiple packages available, users can sign up for a $99 a month “Lite” package up to a $999 a month “Agency” package that tracks up to 10,000 keywords each day. Ahrefs is a multi-dimensional tool, giving users access to much more than just keyword research. Some of their most popular and useful tools include: site explorer, keyword explorer, content explorer, rank tracker, site audit, domain comparisons, keyword generators, SERP checker, and even a broken link checker. SEMrush.com is a keyword research tool that offers users additional, useful information that could help them up their advertising game through one sleek interface. With affordable packages ranging in price from $99 a month for the “Pro” package, $199 a month for the “Guru” package, and $399 a month for the “Business” package, everyone from freelancers to agencies can benefit from SEMrush services. In addition to keyword research, SEMrush gives users a unique range of information, including Organic Research. This allows users to find a competitor’s best keywords and see how rankings change for the domains you input. Similarly, SEMrush allows users to get insider information about the competition’s ad strategy, keywords, and budget. SERPS.com is a popular keyword research tool that’s independent from Google, meaning you don’t need to have active campaigns running to receive the full range of information this tool has to offer. However, SERPS requires users to sign up for different packages in order to use the tool. Their Agency package comes in at $99 a month and includes up to 1,000 keyword searches per month with unlimited users per account. Their Small Business packages offers users up to 300 keyword searches per month for just $49 a month. Each Small Business account only gets one user, meaning individuals who want to do keyword research will have to share a specific login. SERPS offers users a keyword rank checker, a keyword research database, and a Google Location Changer. That last feature is an important one, as Google has removed the ability to check how keywords are ranking in different areas. However, SERPS users will be able to see how different keywords score across different locations. Wordtracker is paid keyword research tool that gives you access to licensed search engine query data. The allows you to generate lists, view the competitiveness of a keyword as well as tap some of Google’s Adwords data. The Google Insights tool is an excellent tool for gathering data on a particular data. Items such as interest trends, regional interest, related searches and fast rising related searches. This tool is perfect for finding opportunities and comparing similar keywords in order to decide on which one to concentrate on. Google Trends is a nifty tool to help spot keywords with a specific topic or genre. It gives you historical data about the performance of keywords and websites, along with alternative searches/websites. Similar to the Google Adwords Keyword Estimator, the Microsoft Keyword Forecasting tool gives you information about how many searches a particular term has. Conducting an keyword research campaign for your healthcare practice’s blogging, PPC advertising or SEO campaign help you to identify, evaluate and select the relevant keywords and keyword phrases that best target your ideal patients. The first step in a keyword research campaign is to pull a full list of keywords for the topic that you are researching. The best tool to do this with is the Google Keyword Planner or Wordtracker. You can also use the Google Trends tool to find some alternatives if the list you pull is too small or you want an additional data set. search engine to see what results pop-up. You might surprised by what you find. Now that you’ve got a more concentrated list, it is time to organize it by sub-topic. Depending on the type of campaign and depth of your efforts, you can slice and dice the list. 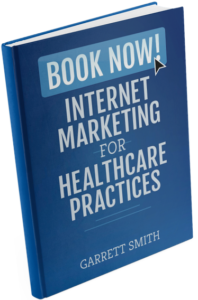 This will give you much smaller groups of keywords to work with and also reveal how the “general” patient populous searches for a specialty or treatment (allowing you to make presumptions in the future). At this point your list should be tight and organized. From here you want to identify the competitive nature of each keyword. To do this, use the competitive ranking data for the keywords provided by both Google and Wordtracker. The last step in the keyword research process is to estimate the cost of the keyword (if you were to buy it) and the potential ROI if you were to buy it. The best tool for calculating keyword costs is the Google Adwords Keyword Estimator. Note: One of the reasons you want to calculate the cost of the keywords is so that you can assess whether it’s better to do SEO for a particular keyword or to simply buy PPC ads. For example, you’re targeting the term “Urgent Care” that is searched 2,000 times a month in your city. You might be able to buy or build links to a page for say $500 per link. You think it will take 20 links to rank #1 for the term, for a total cost of $10,000. Given what we know about search result pages, a #1 ranking should get you 42% of the total traffic (42% of 2,000 = 840 visits). To get the same amount of traffic via paid search that you’d get from SEO, you’d have to pay $8,400, per month – or over $100,000 a year. It would make more sense in this example to do an SEO campaign than a paid search campaign (if you had to choose). Now there may be some times when you need immediate appointments – which paid search can drive faster as SEO takes time. But in general, keyword research should help you determine not just what search terms you should focus on, but how you go about benefitting from them. How Can I Remove a Negative or Fake Review on CareDash? How Can I Increase the Number of Positive Reviews on CareDash?